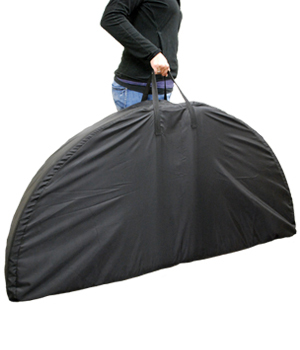 Protect your pole crash mat with this easy to use protective case. The case I have is a replacement for one I had received earlier but which had a defective zipper. The new case works very well for my mat, which is 5" thick. I like the fact that the case has a handle on either side and that the case is dark-colored. The case should be easy to clean. Thanks.